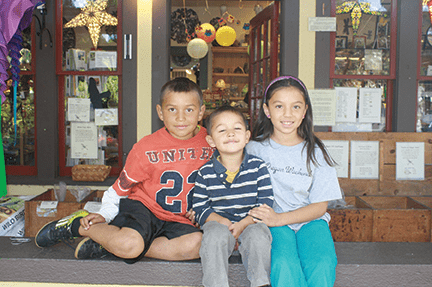 When Mike and Kathy Uhtoff moved their family to Ashland and opened the Northwest Nature Shop in 1985, their ten-year-old daughter Marie never dreamed she would one day be helping to run the family business. “I had no idea at the time what an unusual and important place the store was. 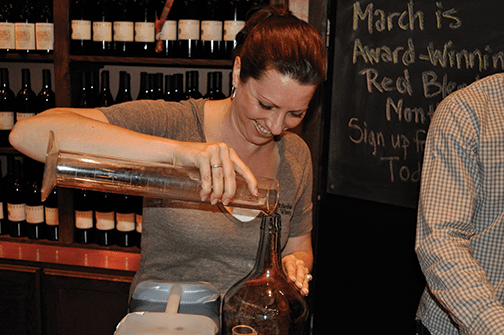 It’s true that the business really got into my blood,” says Marie. 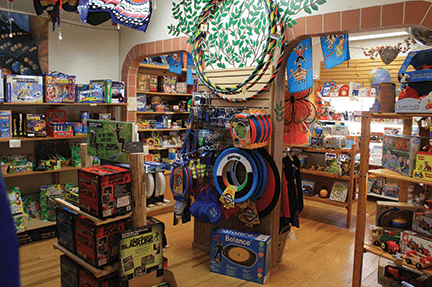 Now nearly 30 years later, mom Kathy, Marie and her brother Chris are carrying on the family tradition by bringing a store full of ways for people of all ages to connect with the great outdoors. 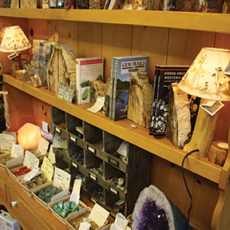 Anyone who has spent time in the Northwest Nature Shop here in Ashland knows what a unique place it is. 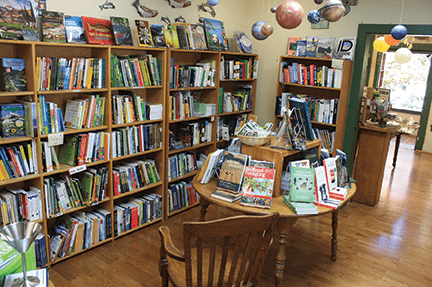 Chock full of bird guides, trail maps, resource and guide books for adults and children alike, as well as one of the most extensive inventories of educational toys in Southern Oregon, the store is truly one of a kind. 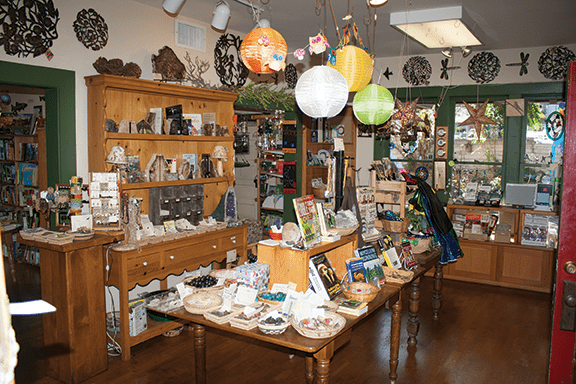 I had the opportunity to speak with Marie recently about the store’s success as an Ashland treasure and to learn more about the passion the Uhtoff family has had for the natural world for generations. Thanks so much for taking the time to talk with us today Marie. Your father was passionate about protecting the natural world. Tell us more about him. Thank you for doing this interview. 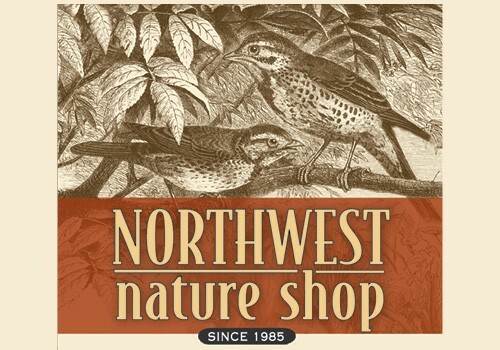 My Dad, Mike Uhtoff started the Northwest Nature Shop in Ashland with my Mom, Kathy almost 30 years ago! My Dad was incredibly enthusiastic, creative and a tireless promoter of outdoor education. My Dad had previously worked for the Portland Zoo, OMSI, as a science teacher and as the director of the Portland Audubon Society. 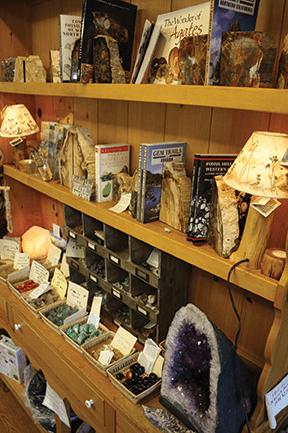 They moved from Portland to Ashland and started the Northwest Nature Shop. 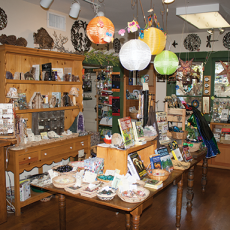 They saw the Northwest Nature Shop as an opportunity to create a store that would both provide resources to help children and adults learn about nature and also be a base for classes and field trips. My Dad passed away five years ago from early onset Alzheimer’s. My Mom, one of my brothers, Chris, and I continue to pursue their vision. 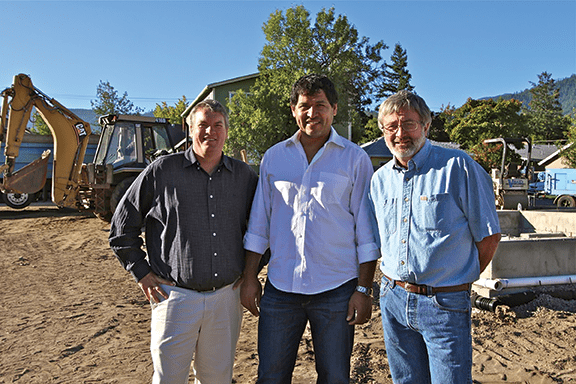 Did you always know that you would one day be a part of running the family business? Ha! No. Both Chris and I were not very enthusiastic employees at the shop when we were young. Chris came back to the shop after college and after his first job doing field biology. 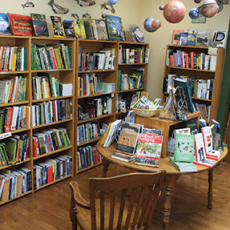 The shop looked very enticing after spending a few cold winters camping in the woods doing biology fieldwork. 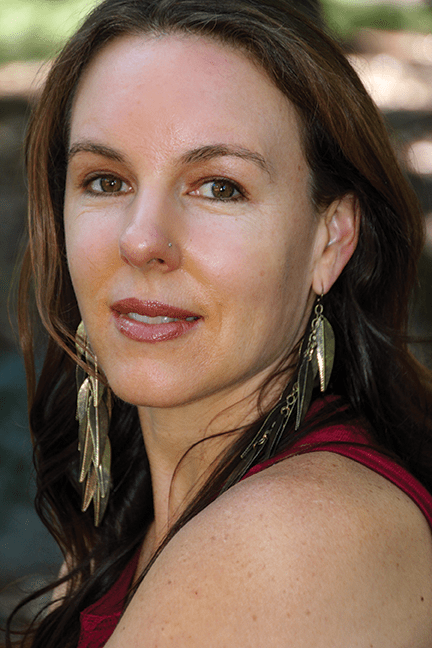 I moved back to Ashland after getting married and when my husband, Smit and I, were expecting our first child. At the time my Dad was sick and I wanted to be close to my family. The Nature Shop fit like a missing puzzle piece in my life. Introduce us to your family – who runs the business these days? 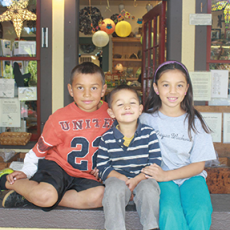 It often feels like my 3 kids, Lena, Luis and Leo Michael run the shop! I believe they’ve sampled every product we sell. They tell me if they don’t like something, and I don’t order it again. But technically it is my Mom, my brother Chris and I who run the shop along with a small staff who all contribute significantly to making the shop successful and a fun place to spend our days. 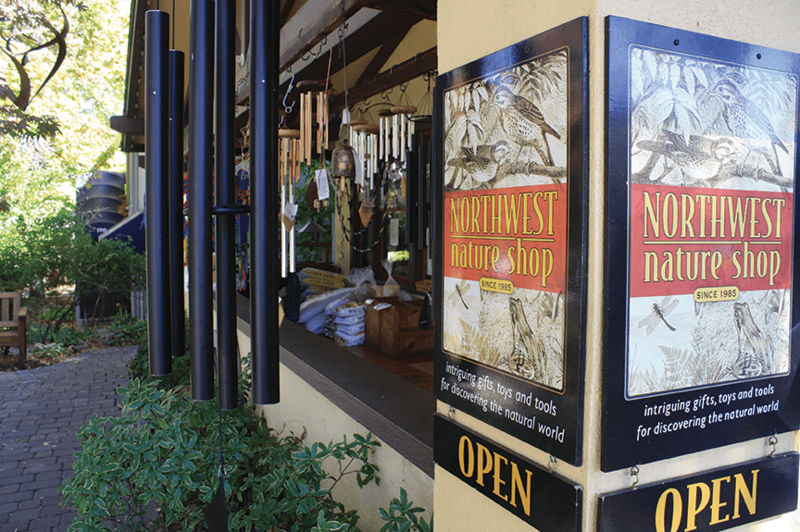 Tell us about the Northwest Nature Shop’s partnership with the Audubon Society in bringing education into the schools. 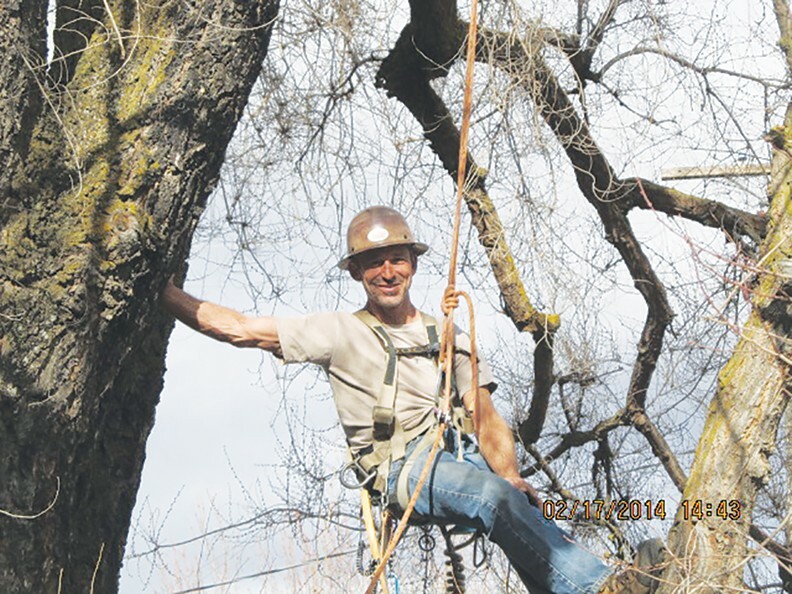 My kids are in the Ashland Public Schools and I realized that the education program for bird education that had previously been provided by Klamath Bird Observatory had been cut. We feel field trips and classroom visits from professional bird educators and researchers is an important aspect of inspiring students to learn and care about birds and the environment. As a retail store this typically wouldn’t be our role but we looked into how we could help bring this back. Last Spring we hired an enthusiastic and dynamic outdoor educator, Jeanine Moy to make classroom visits and lead field trips. The response was overwhelmingly positive and this year we are teaming up with the Rogue Valley Audubon Society who help provide funds as well as expert volunteers and KBO, who provide binoculars and materials to continue educating young students about the wonders of birds and nature. You must have fun meeting producers and deciding what to purchase to sell in the store. What are some of your favorite products currently? I love finding the products we sell. 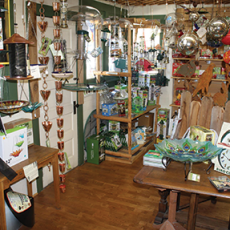 The shop is filled with our favorite things. A small, independently owned retail store is unique in that the products we carry reflect directly on the owners. 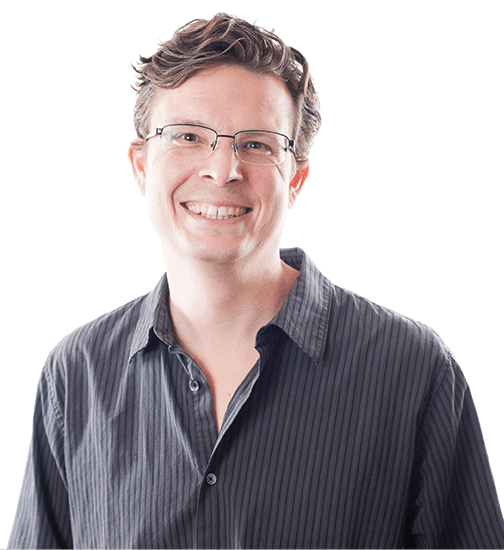 I don’t want to carry some cheap, poorly made microscope or a toy that will break after a child plays with it a few times because I am selling these things to my friends and neighbors…people I care about. 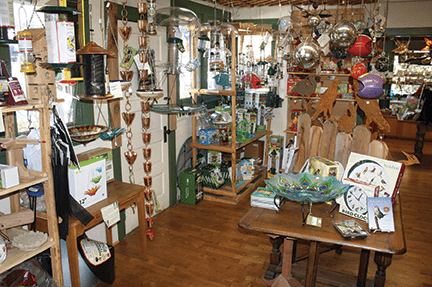 We have bird feeders and seed that are guaranteed to attract beautiful wild birds to your backyard. We have hiking guides and maps to help you plan your next adventure. 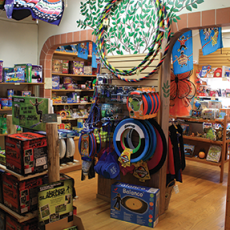 We have toys that we pick to spark the natural curiosity and imagination in your kids. How does the store do when the tourists clear out? Our business does slow down once the OSF season ends but we have a strong local customer base. Locals make a conscious effort to support us. Our community is aware of the impact of supporting our local independently owned businesses, which is why we have such a vibrant downtown in Ashland. Honestly we are here because both locals and tourists choose to shop at our store and we thank you for that! I cannot emphasize enough how everyone’s choices in how we spend our money helps shape the world we live in. How do you manage raising a family and running a business? The reason this business exists is because of family. My parents wanted it to succeed because they believed in the vision of the shop and they wanted to support our family so they poured their heart into it. My brother and I don’t take that responsibility lightly. We work hard and I have a lot of friends and family who help with my kids and an energetic, patient staff who are willing to play cards with a bored 7 year old or fix a quick meal for hungry kids. And like many parents, I do a lot of work late at night when the kids are asleep! Some readers might not realize that your store offers a very large educational toy section. Tell us more about what you have to offer families in the back of the store. We believe access to good educational toys and outdoor products opens doors, inspires curiosity and encourages exploration. To spark scientific discovery we have microscopes, kid’ binoculars, kid’s field guides, chemistry sets, science kits and magnifiers. To encourage outdoor play we have ziplines, slacklines, swings, frisbees, and kites. To inspire imaginative play we have art sets, nature dress-up, animal replicas, and realistic plush animals. Plus games, marbles, yo-yos and puzzles. Your Dad even has a trail named after him in the Watershed. How did that come about? Yes, thank you to Southern Oregon Land Conservancy, Ashland Parks and Rec and the Ashland Parks Commission, they honored my Dad by naming a beautiful hiking trail the Mike Uhtoff Trail. You can access it from Oredson-Todd Woods, or from the top of Park Street or by driving up the Ashland Loop Road and parking at the White Rabbit Trailhead. My Dad was instrumental in organizing the purchase of the Siskiyou Mountain Park, which is where the Mike Uhtoff trail runs through. It still brings tears to my eyes when I’m on the trail and I look around at our beautiful natural surroundings and I realize when someone has passion and a vision they can accomplish great things. Southern Oregon is a great place to bird watch. Tell us what we can expect in the fall and winter months with our local bird populations? A full feeder through the fall ensures your birds stay happy. The birds that visit feeders in the fall are establishing reliable winter food locations. They need to be ready when cold weather hits. Cold will increase their calorie requirements, right at the moment that food becomes harder to get. You will find a great number and variety of birds in the fall and especially winter. 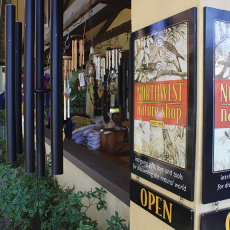 And the Northwest Nature Shop sells a wide variety of Wild Bird seed. Do you have any tips for readers who want to encourage flying visitors? Put a feeder out in your yard. It is really fun; trust me. Actually, put multiple feeders out. First, a nyger thistle feeder to attract the beautiful little goldfinches, then a hummingbird feeder because we have male Anna’s year-round in Southern Oregon and they are an entertaining bird to have in your backyard. Also a suet feeder is an important addition because then you get to see woodpeckers, nuthatches and chickadees up close. A mixed seed feeder will bring in grosbeaks, titmice, more chickadees and a greater variety of birds. 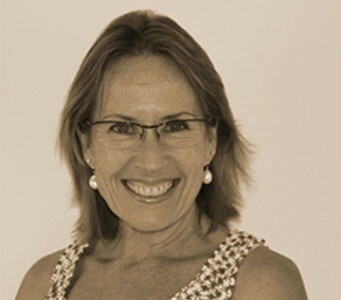 The classes and workshops you offer are a significant aspect of your business. How can people find out more? We are constantly coming up with new classes and field trips. We announce them at the shop, we send out a newsletter and we post them on Facebook and our website. I recommend getting on our mailing list to find out about our upcoming events. My parents always believed if people get out in nature, if they learn about the natural world, they’ll be driven to conserve our precious natural spaces. Our classes and field trips intend to inspire and educate naturalists. Do you have any special events coming up Marie? Our annual Open House is on Friday after Thanksgiving. This is our holiday party for everyone. We have music, food, wine, a magic show, face painting and a chance to get unique holiday gifts for your loved ones. It’s from 12-4 on Friday November 28th.